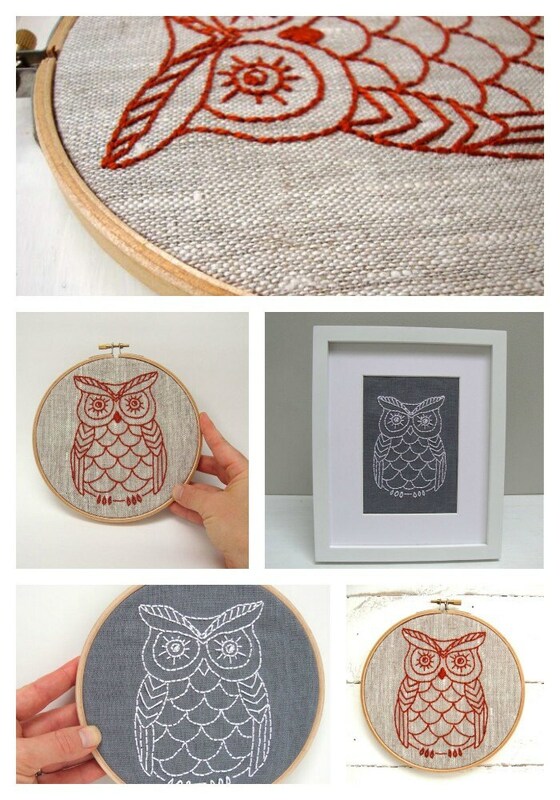 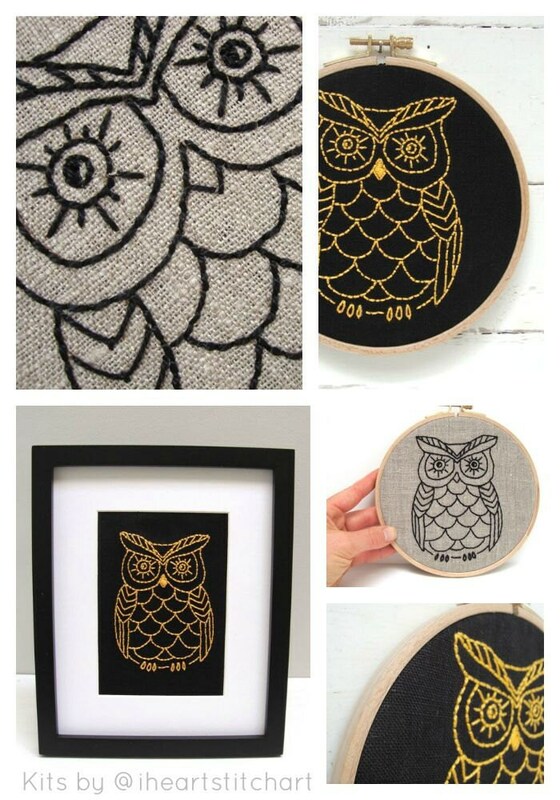 Owl embroidery kit: a modern approach to hand embroidery! 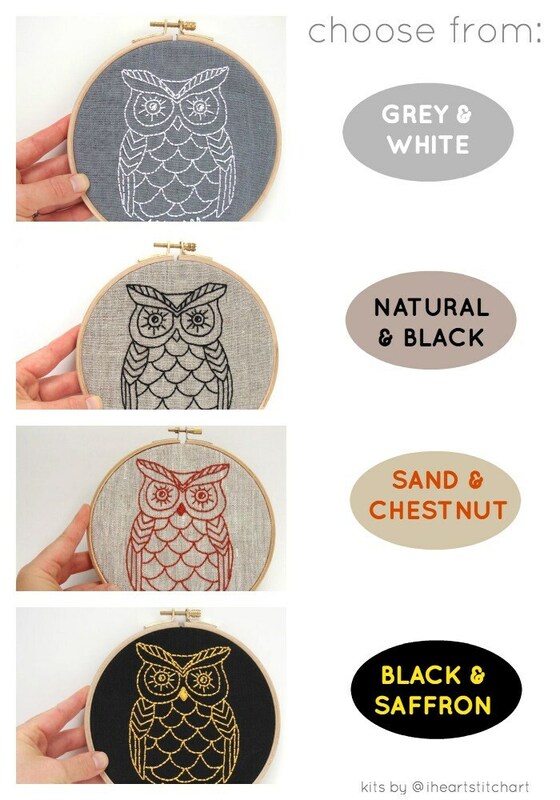 This DIY embroidery kit is available in your choice of colours: grey linen with snowy white, rustic natural linen with black, sand linen with chestnut, or black linen with vibrant saffron. 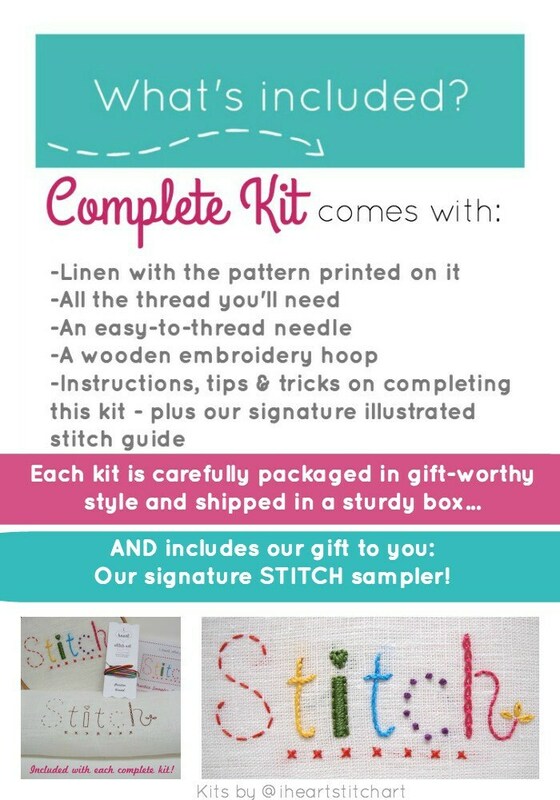 This embroidery kit is perfect for a beginner, and relaxing for an experienced stitcher! 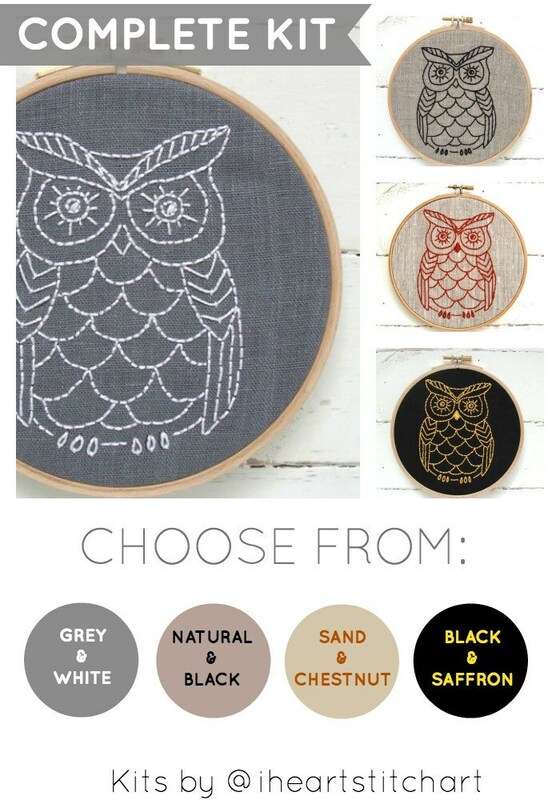 Fabric measures approximately 10.5" x 9"; owl measures 3.5" x 5".